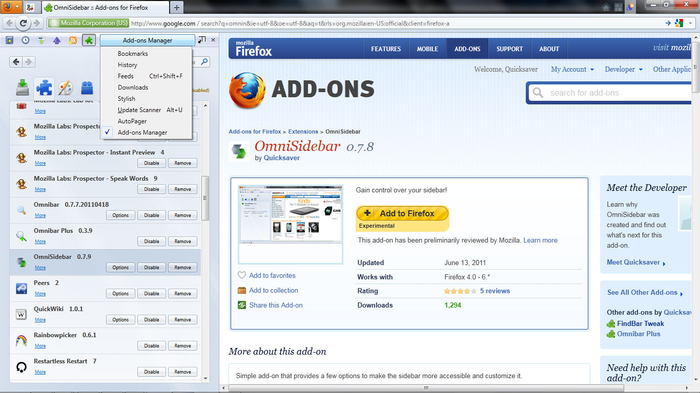 The five extensions for Firefox will help you to use the secret weapon of the browser in enhance the Firefox sidebar. 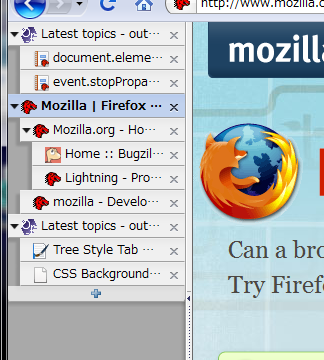 Browser Firefox, in addition to all his other virtues, has a very useful feature that no competitors – an extra sidebar (sidebar). 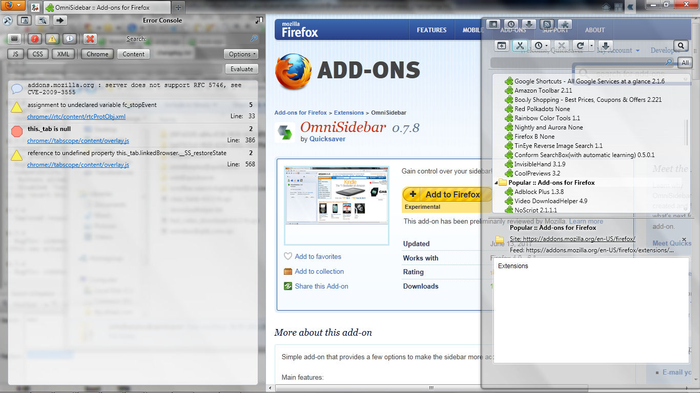 This panel allows you to view additional sites without leaving the main page to open the office of the browser page, and more. To take full advantage of it, there are many special extras. With some of them we are acquainted. 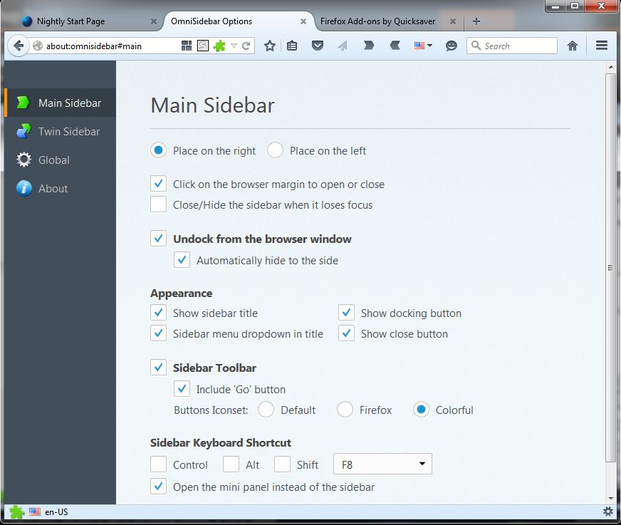 This extension should be installed in the first place, if you want to become a true master of your sidebar. 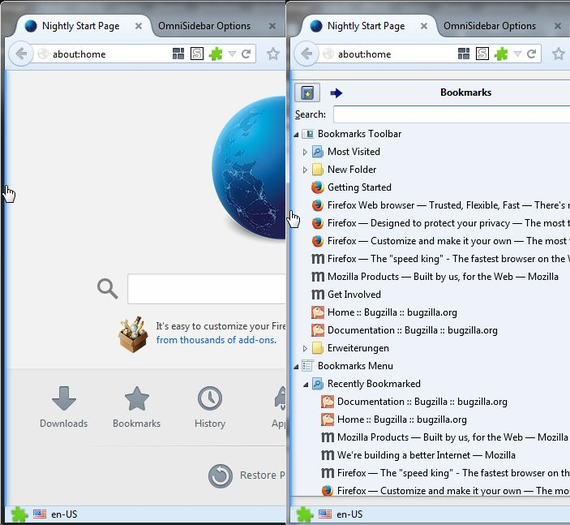 After you install everything you need to have close at hand: bookmarks, history, extensions, downloads, information about the page, and even a friendly word notebook a la Opera. 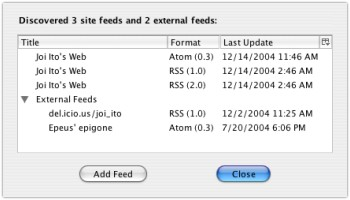 In addition, the extension allows you to move the sidebar to the left or right side, open the second additional panel and much more. 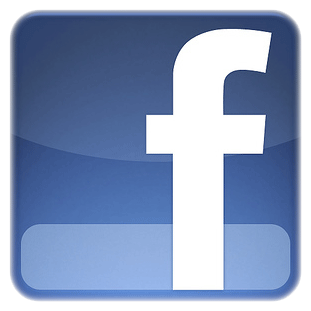 If you are a minute can not live without Facebook, already resigned to it, put it in his sidebar. You can view the news feed, and even check the notice does not keep working, right out of the sidebar. 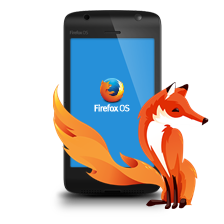 Enhanced load the mobile version of Facebook, which provides all the necessary features and fast. Twitter is not behind Facebook and also tends to live close to you. Expanding Twitbin give you the opportunity to keep abreast of and be aware of all events via a constantly updated ribbon tweeter, located right in the browser’s sidebar. 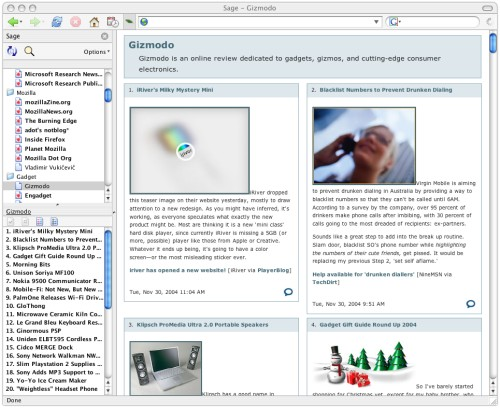 Sage – a miniature RSS-client, which opens in the sidebar. 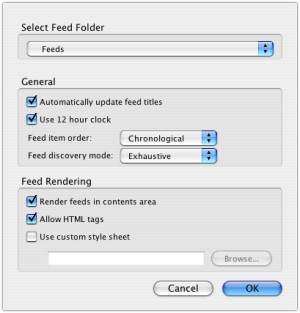 It allows you to subscribe to feeds updates, to organize feeds into folders, view the contents of the articles.There is even the ability to customize content display using custom CSS and support for OPML export or import subscriptions. 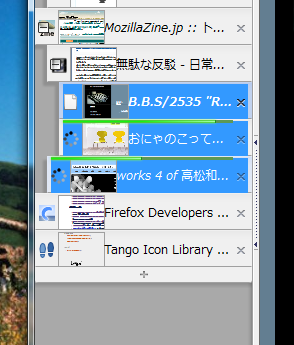 Wide monitors allow somewhat differently organized browser interface, better using additional space on the sides. 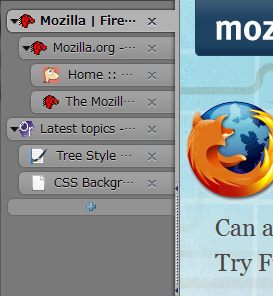 Tree Style Tab brings a tab page in the sidebar, filling the place is usually idle and freeing much needed vertical space. 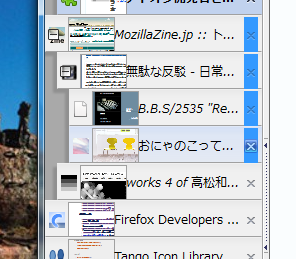 In addition, the tabs are now form a hierarchical structure, just as is done in the file folder manager. To many this may seem quite comfortable. 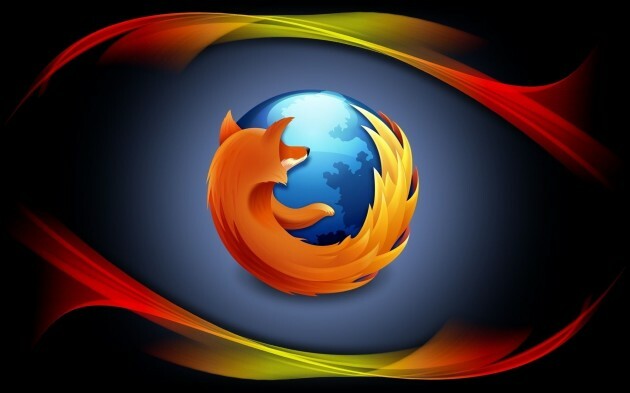 On this theme sidebar Firrefox we did not finish. 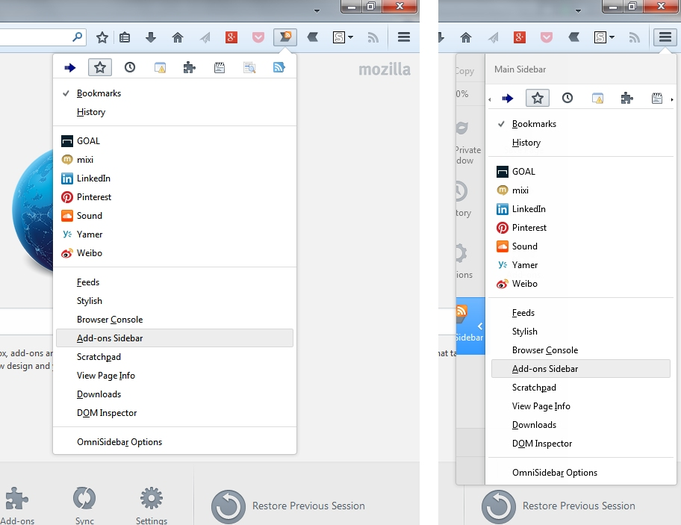 In the next article we want to introduce you to some useful Web applications that work well and look good in the browser’s sidebar.